In Evil Dead 2, Ash Williams continues his battle with the Deadites, as they mercilessly possess his friends, forcing Ash to slaughter those he cares about. The Necronomicon proves to be the key to halting the evil that was unleashed, but it comes at a terrible price for our hero. One of the possessed in the film was Ed Getley, who promptly attacks, before being taken out by Ash with a trusty axe. 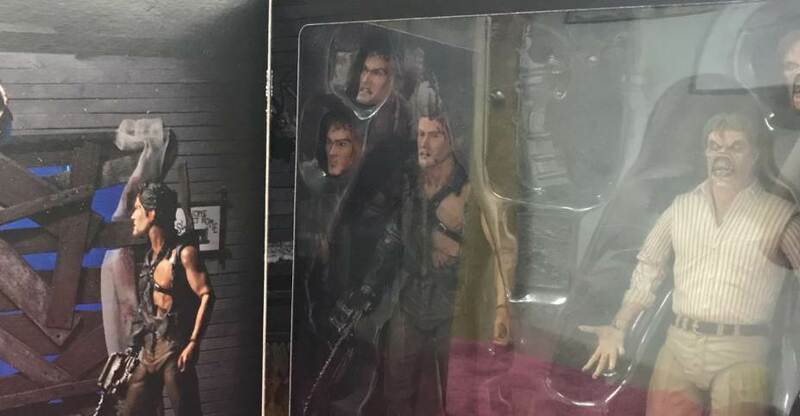 In a newly released box set, NECA brings fans their first Deadite Ed action figure, as well as an Ultimate version of Hero Ash (from later in the film). Toyark sponsor Entertainment Earth sent us the set, and we have a full photo shoot and review. Check them both out after the jump. NECA has released some official in-package photos for their soon to be released Evil Dead 2 – Ash vs Evil Ed 7″ Scale Figure 2-Pack. This highly anticipated set had been hit with delays since being announced, but it’s finally scheduled to reach fans later this month. The set includes Hero Ash, with multiple head sculpts and weapons, and a Deadite version of Ed, who has interchangeable hands and heads. Click the headline of the story for the new photos. 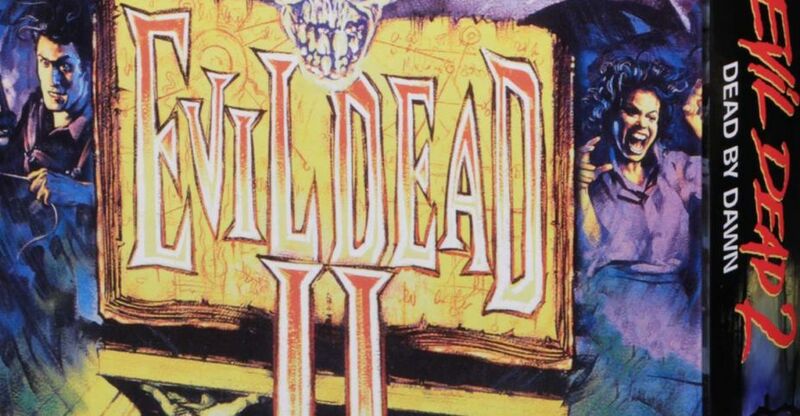 Evil Dead 2: One of the horror greats and a true cult classic! 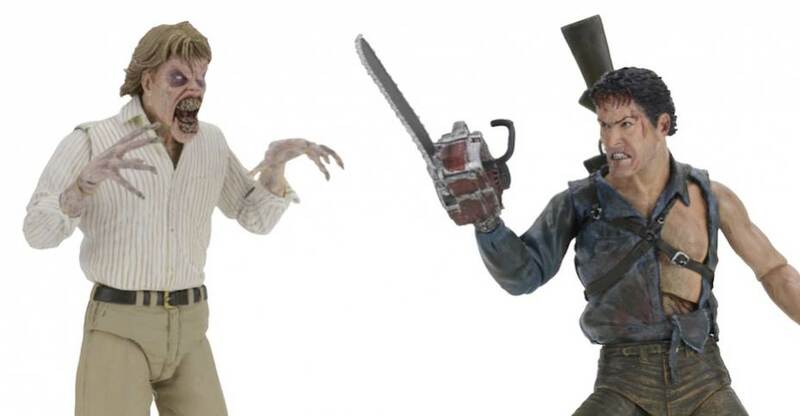 Celebrating the 30th Anniversary of the iconic movie, NECA is proud to release a special 2-pack containing Hero Ash and Deadite Ed Getley action figures. Hero Ash features the likeness of inimitable actor Bruce Campbell. Ash comes with a Necronomicon book that opens up, two alternate head sculpts, bone dagger, sawed off shotgun, and possessed deer head. Deadite Ed Getley comes with interchangeable heads, one of which comes apart to simulate his gruesome defeat by Ash’s chainsaw. Each 7” scale action figure is highly detailed and fully poseable. The set comes in a deluxe 30th Anniversary window box with opening flap. 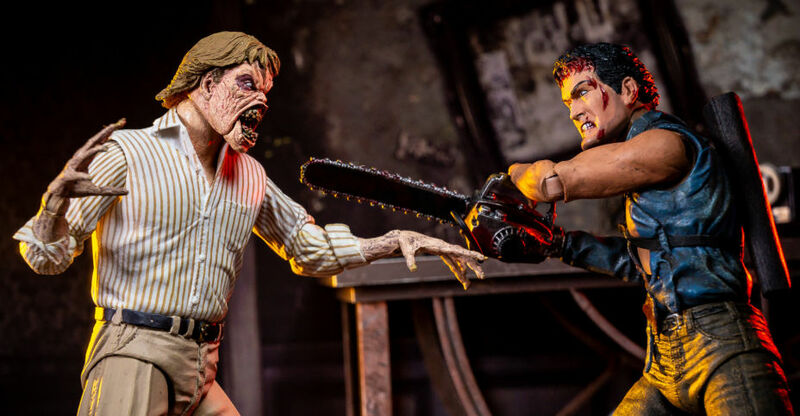 NECA has shared some final production photos for their soon to be released Evil Dead 2 – Ash vs Evil Ed 7″ Scale Figure 2-Pack. This highly anticipated set had been hit with delays since being announced, but it’s finally scheduled to reach fans next month. The set includes Hero Ash, with multiple head sculpts and weapons, and a Deadite version of Ed, who has interchangeable hands and heads. Click the headline of the story for the new photos. 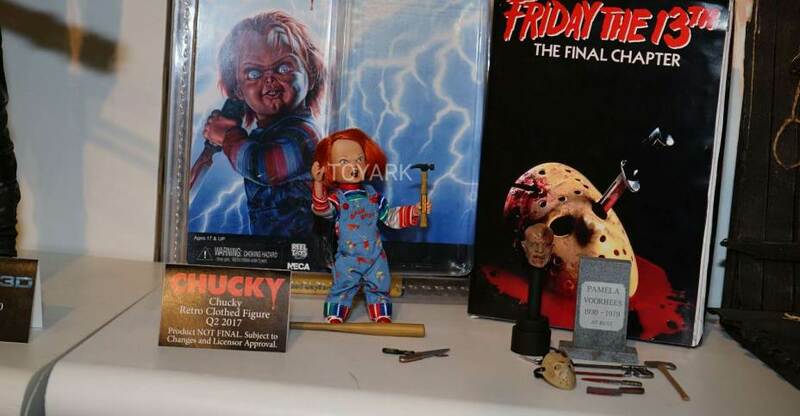 A new preview photo has been released by NECA Toys. 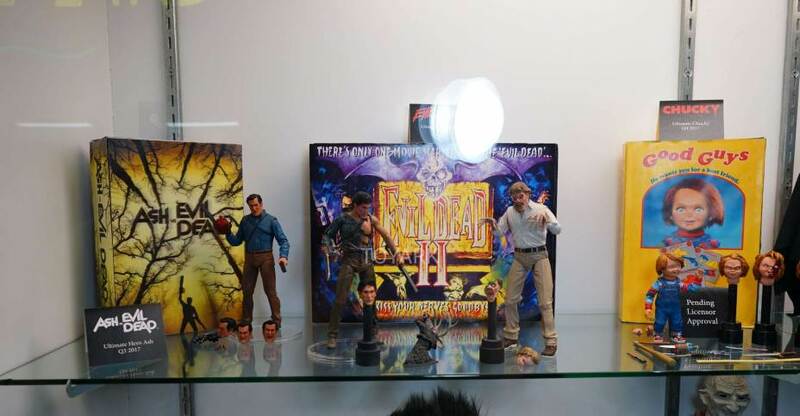 The photo gives us a look at the highly anticipated Evil Dead II 30th Anniversary – Ash vs Evil Ed 7″ Scale Figure Set. 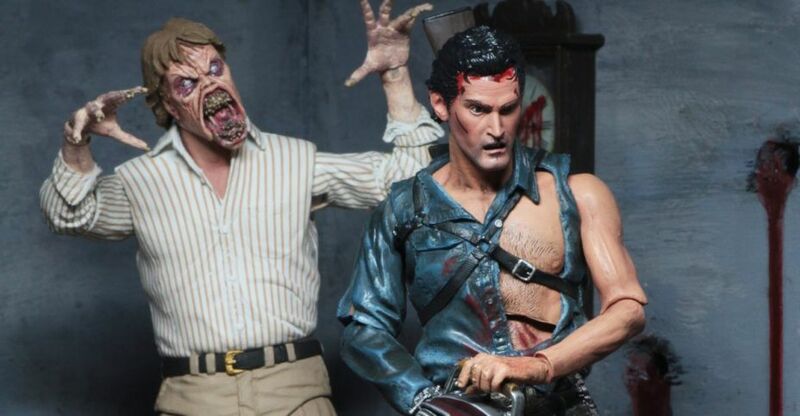 The 2-pack includes Hero Ash and a Deadite version of Ed from the second film in the Evil Dead series. 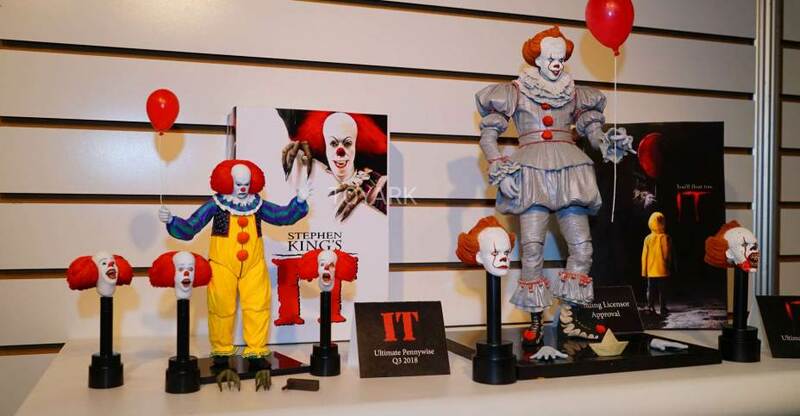 Interchangeable heads are included with both figures, as are multiple other accessories from the film. The set should be released some time next month. Click the banner image for the full photo. A new Evil Dead II 30th Anniversary – Ash vs Evil Ed 7″ Scale Figure Set has been revealed by NECA. The set will make its debut at Toy Fair 2017. Due for release in June.